4.02: Fast Forward Featuring EDENS CEO Jodie McLean | An event series featuring visionary women leaders in conversation with one another about the future of their industries. Fast Forward 2019 kicks off with a conversation between host Marla Beck, CEO and co-founder of Bluemercury, and EDENS CEO Jodie McLean. Ms. McLean's leadership at EDENS has led to the organization's focus on urban centers, including the development of local places like Union Market and Mosaic, where retail moves beyond a shopping experience. 4.02: Building a diverse and skilled tech workforce | Join Verizon and NACCE for a conversation on how to ensure that the skilled workforces of tomorrow reflect the diversity in our communities. 4.02: Building a More Inclusive Business | The DC Office of Human Rights will share critical information about how local civil rights protections may impact your business practices. The comprehensive presentation will include legal requirements in public accommodations, as well as best practices to prevent employment discrimination and create a workplace or business that is welcoming to all. 4.03: Veterans in Residence Launch Party | Join WeWork and Bunker Labs for a launch party celebrating the new Veterans in Residence Program. 4.04: Free Intellectual Property Legal Clinic for Small Businesses | The D.C. Bar Pro Bono Center and Sterne Kessler Goldstein & Fox P.L.L.C. is sponsoring a FREE Intellectual Property Legal Clinic for Small Businesses to provide brief advice on their intellectual property needs, including trademarks, patents, copyrights, and licensing. 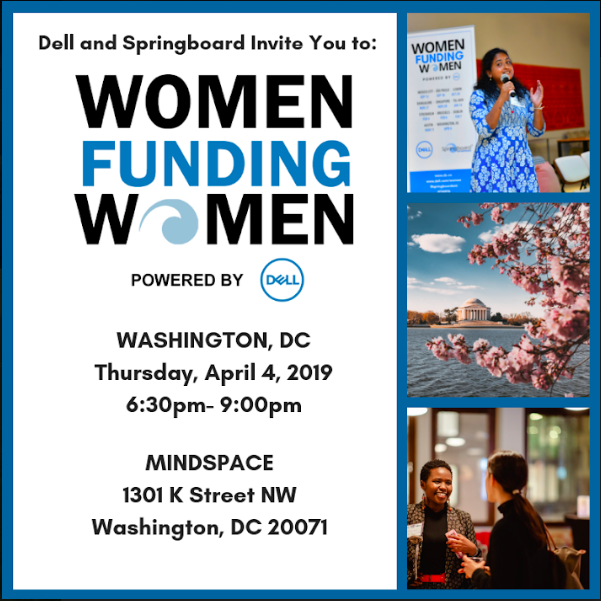 4.04: Women Funding Women | A global series leveraging the expertise of investors, innovators and influencers co-hosted by Dell, the Dell Women's Entrepreneur Network (DWEN) and Springboard Enterprises. 4.04: 2019 Cybersecurity Leadership Forum | Join CyberScoop at the 2019 Cybersecurity Leadership Forum to learn how the best minds in government and tech are restoring trust and leading this revolution. 4.04: Tech + Management - Product + Project | Join General Assembly DC and Women in Product to learn how technology is transforming the work of experts. 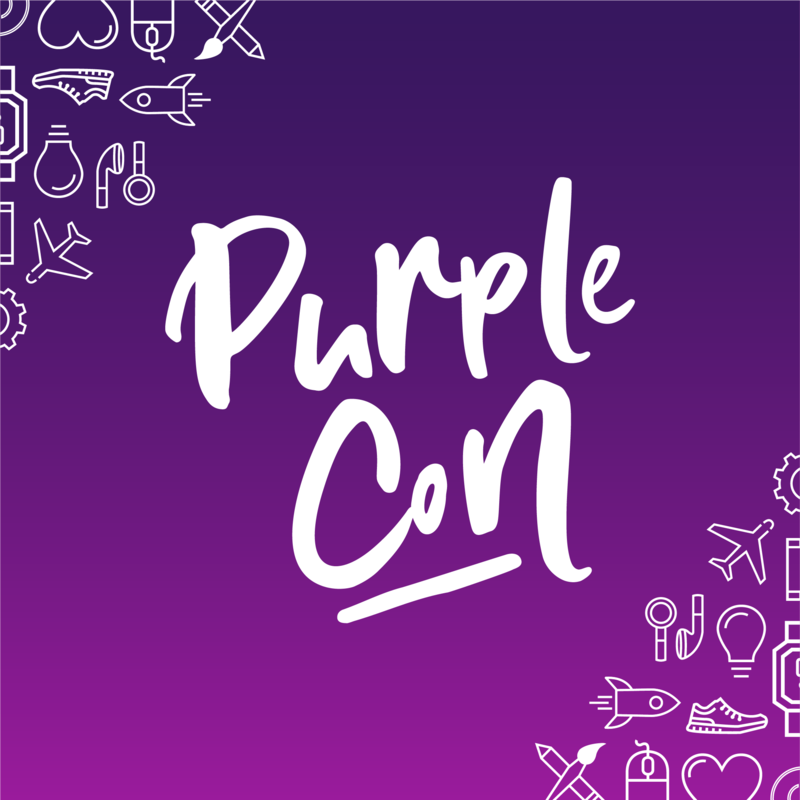 4.04-4.05: PurpleCon | Sponsored by Microsoft for Startups, PurpleCON is an inspiring two-day conference designed to help women entrepreneurs amplify their brands and accelerate their business. 4.05: Ask an Entrepreneur presented by SOGAL | Join an intimate happy hour with Kori Hale, CEO and Co-Founder of CULTUREBANX to learn how she started a multimedia organization that is redefining business, finance and tech news for minorities. 4.05: Tech + Music Panel | Join a tech and music panel presented by General Assembly and Sofar sounds followed by a mini concert. 4.06: Girls Who Start - Entrepreneurship Summit 2019 | A summit to inspire high school + middle school girls about entrepreneurship. Open to all students including college and graduate school. 4.08: Future of Technology Summit DC | The Future of Technology Summit brings thought leadership and ideas to meet opportunities and challenges of a technology driven future. Use promo code FOTS25 for a 25% off tickets, limited time. 4.09: SEED SPOT DC Demo Day | Join impact-driven entrepreneurs in SEED SPOT's 8-week Impact Accelerator as they pitch their business ventures to the Washington, DC startup community. 4.09: How Netflix Built & Maintained an Innovative Culture | A talk examining what culture means, why it is so important as companies scale, and the mechanisms required to make culture a part of each employee’s everyday life. 4.10: The Positive Impact of LGBT-Inclusive Practices in the Workplace | Join the U.S. Chamber of Commerce Foundation (USCCF) for a webinar with corporate partners to discuss the latest research on the motivations and structure for LGBT-inclusive company practices. 4.10: Women in Innovation: Ladies Who Launch | An evening of TED-style talks, interactive workshops, and refreshments, presented by AARP Innovation Labs. 4.11: Startup Leadership Pitch Expo | Join the DC Startup Community, SLP Fellows, top ventures from DC accelerators and programs, angel and venture capital investors and aspiring entrepreneurs for an evening of venture exposition, learning and networking. 4.11: Inclusive Innovation Lab Pitch Event | Join the first cohort of In3 labs for the pitch/presentation day closing the tech-enabled business bootcamp. 4.11: Mornings are for #Marketing | Join General Assembly and representatives of Sparkfund and Salesforce for a mastermind series created to support the marketing community. 4.12: ContraryCon 2019 | An anti-conference hosted by ISL that exposes unique thinkers while elevating the DC creative community. 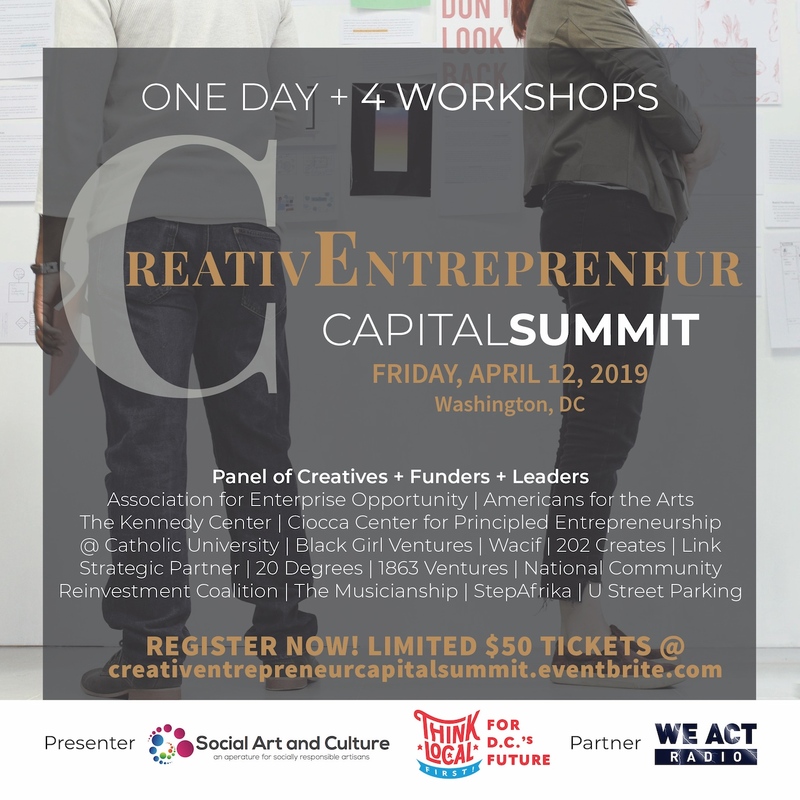 4.12: Creative Entrepreneur Capital Summit | A full-day of workshops providing resources to artisans, activists, change-makers and makers presented by Think Local first, Social Art and Culture, and WE ACT Radio. 4.18: Coverage and Capital | Join the DC Department of Small and Local Business Development to learn how to get the coverage your business needs in order to compete on DC contracts. The event includes networking, panel discussions and express consultations with bonding leading experts. 4.18: DC Small Biz Chat: Taking the Leap with Your Creative Business | Join the Washington, DC Economic Partnership and The Hive 2.0 for a discussion about how to go from part -time to full-time with your creative business. 4.17: Business of the Arts: Copyright & Trademark | Join the DC Commission on the Arts and Humanities (CAH), the Department of Small and Local Business Development (DSLBD) Innovation & Equitable Development (IED) office, the Office of Cable Television, Film, Music & Entertainment (OCTFME) for the spring semester of Business of the Arts, a free entrepreneurial and technical training program designed for artists and small business owners. 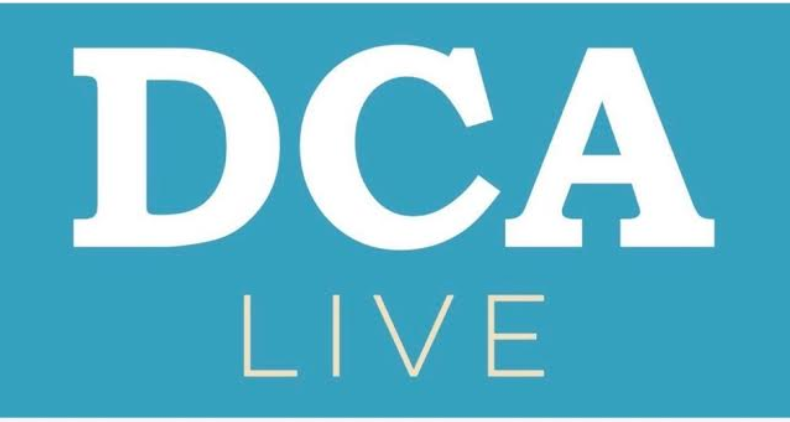 4.23: DCA Live - NextGen Entrepreneurs | Celebrate the great, young entrepreneurial talent in the DC region and the strong community supporting their success. Enjoy an open bar, great food and a chance to meet leaders from DC's startup and business community. 4.25: Data for Growing Companies | Find out how to leverage data for small businesses and startups, presented by General Assembly and featuring Kim Bryden of Cureate Connect and Sadaf Lakhani of Cognitiks. 4.30: Money Smart for Small Business Workshop: Tax Planning and Reporting | During this session, representatives from DC's Office of Tax and Revenue will assist individuals with a better understanding of Tax Planning and Reporting for small businesses. 4:30: Wonder Women Tech Global Summit | A conference highlighting, celebrating, and educating women and the underrepresented in STEAM (Science,Technology, Engineering, the Arts, and Math). 5.03: Flourish Conference for Women in Leadership | This immersive summit is designed to empower women in corporate leadership positions. 5.09 – 5.10: Circular Summit 2019 | Alice's Circular Summit is two days of action-oriented workshops, visionary talks, mentorship, and network building to accelerate growth and close the gap for diverse women entrepreneur (California). 5.10: Fast Forward Featuring Jean Case | Join a conversation between host Marla Beck, CEO and co-founder of Bluemercury, and Jean Case, a philanthropist, investor, and internet and impact investing pioneer, that also serves as chairwoman of the National Geographic Society and CEO of the Case Foundation. AccelerateHERdc 2019 Business Pitch Competition will award a $6,000 no-strings investment from Glen's Garden Market and Chobani , along with professional mentorship and brand development opportunities for a great lady-led, small-batch food concept in our region. Apply by 4/6. Apply for 1863 Ventures' Emerge Tech, a one-month intensive program for pre-seed, tech-enabled companies. 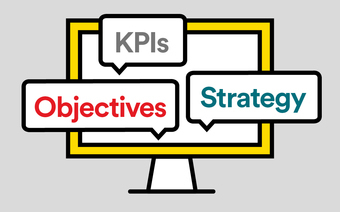 It covers six key disciplines designed to make you a more confident and data-driven operator. Apply by 4/5. [Webinar] Women entrepreneurs: How to gain access to capital to fund your business | Watch BEACON Advisor Board member, Shelly Porges and Cartier Awards finalists for a discussion on the hurdles they’ve overcome and their advice to other women entrepreneurs raising capital. Walmart is accepting applications for its 6th annual Open Call. Apply by 4/30 for the opportunity to secure a face-to-face pitch meeting with a Walmart buyer. Applications are now being accepted for the DC Commission on the Arts and Humanities (CAH) FY20 Public Art Building Communities Grant Program (PABC). Grants support individual artists and organizations in their effort to design, fabricate, and install new temporary or permanent works of public art that connect artists (and their artwork) with communities. Apply by August 9 at 4:00 PM! 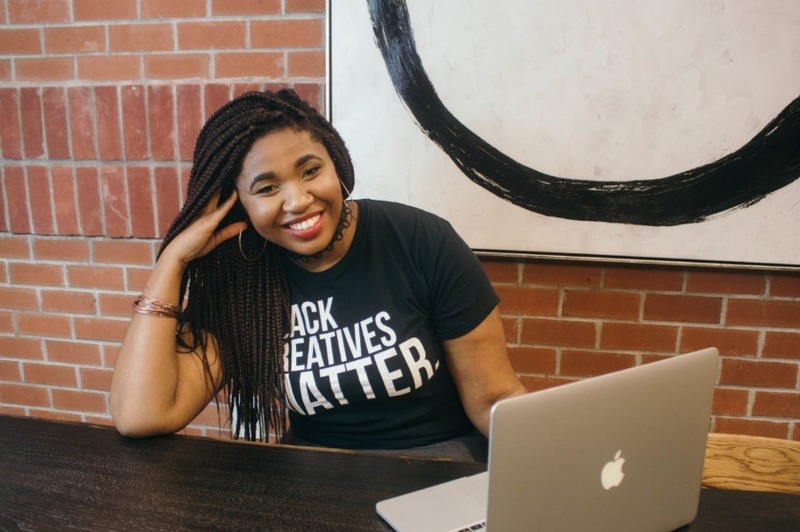 Apply to Fund BLACK Women, a crowdfunding platform for black women founders. The Bumble Fund targets early-stage companies led by women of color and other underrepresented founders, solving a problem that disproportionately affects women. Average investment $25-$50k. Applications are now open for the Halcyon Incubator and the Halcyon Arts Lab! Are you an entrepreneur building a social enterprise to address 21st century challenges, or an emerging artists working at the intersection of art and social change? Applications for both programs close April 4th. Apply now! Are you interested in tech transfer (adapting technologies into commercial issues)? Fed Tech pairs entrepreneurial talent with exciting technology ready for commercialization from over 30 top R&D labs. It's designed to be completed alongside your day job. Apply Here. Join SEED SPOT for a two-day Launch Camp providing entrepreneurs and individuals that are exploring starting a venture a safe space to explore and launch their idea. Gain access to mentors, content experts, SEED SPOT's curriculum, and a network of supporters. Apply here. Founders Embassy: Borderless Acceleration | Join the world's first accelerator designed exclusively to induct international and immigrant entrepreneurs into the Silicon Valley ecosystem. Apply here. The Women Realize Change Cohort is a professional and personal growth opportunity for DC-area women social entrepreneurs who want the support of an awesome community of peers as they boldly and thoughtfully unleash their visions for a better world. Learn more and contact sarah@realizechange.org if interested. FHI Ventures’ Social Enterprise Facilitator | Supporting early-stage businesses with the potential for high impact and a commitment to delivering social and financial returns. Are you an aspiring collegiate female entrepreneur studying in STEAM or business? 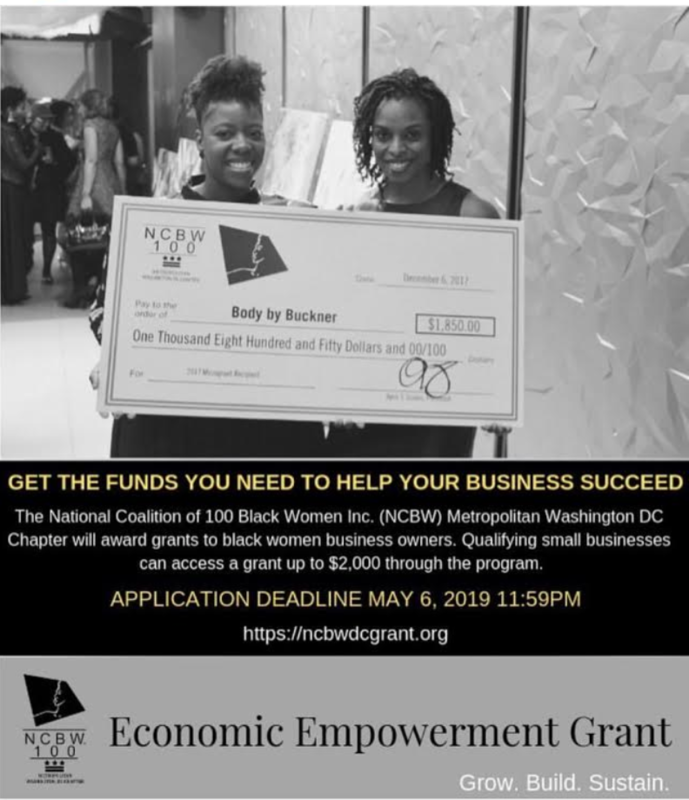 Apply for the Women’s Business Enterprise National Council Student Entrepreneur Program to receive mentoring, a tailored entrepreneurial curriculum, and pitch competition opportunities awarding $20k. EnrichHER is seeking supporters . Help 500 women-led business get funding by joining their Ambassador Squad Program or their Alliance Affiliate Program to spread this important message. Need help? You can hire an intern through DC Public Schools! Provide immeasurable exposure and mentorship for an intern that will be paid by D.C. Public Schools. Apply to host an intern and mention "BEACON" in your application. Pipeline Angels' 2019 Pitch Summit and Bootcamp will connect women founders women and non-binary angel investors. Congratulations to BEACON grantee, Dr. Roshawnna Novellus of EnrichHER and community members, Arion Long of Femly, Alisha Ramos of Girls Night In, Meghan Buck of Veda Data, for their recognition as NextGen Entrepreneurs by DCA Live! Know someone who deserves to be recognized for their achievements? Do they code, design or work with data? 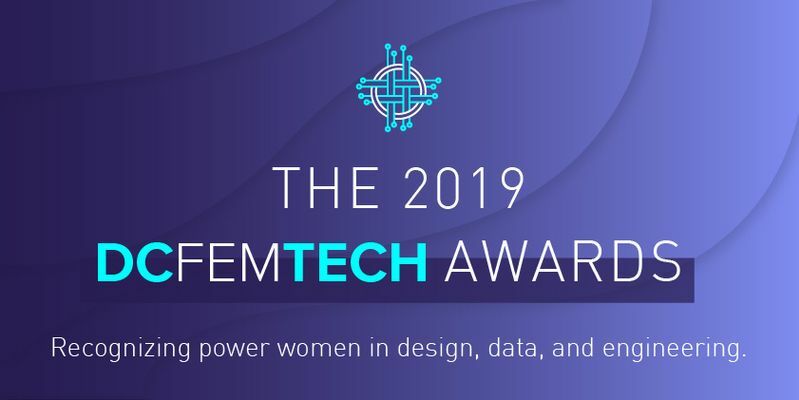 Nominate them for the 2019 DCFemTech Awards today! Nominees should be women and nonbinary people in the DC metro area. 2018 recipients are not eligible for this cycle. Nominations are due by April 5, 2019 and recipients will be notified in April/early May with an event shortly to follow. Distinctly Creative is opening up a new co-working and event space on April 14 in Mount Rainer! Distinctly Creative was founded by Morgan Davis and has a mission to give a diverse, holistic, and collaborative representation of the DMV creative scene. General Assembly is offering a free Intro to Digital Marketing course, teaching you all about the strategies that drive today's biggest brands. Sign-up here.